In this video, New York plastic surgeon Dr. Andrew Miller discusses how aging causes loss of volume in the face which leads to deeper lines and hollowness in the cheeks or around the eyes. Fat injections can help reverse these signs of aging. Kate Middleton has quickly become one of the style icons of our times. Women from around the world copy her regal sense of fashion, from her chic dress coats down to her flawless sheer stockings. Some women are even requesting plastic surgery to look more like her. Their favorite Kate Middleton feature? Her nose! Almost 16 million cosmetic surgeries were performed last year according to the American Society for Plastic Surgeons. 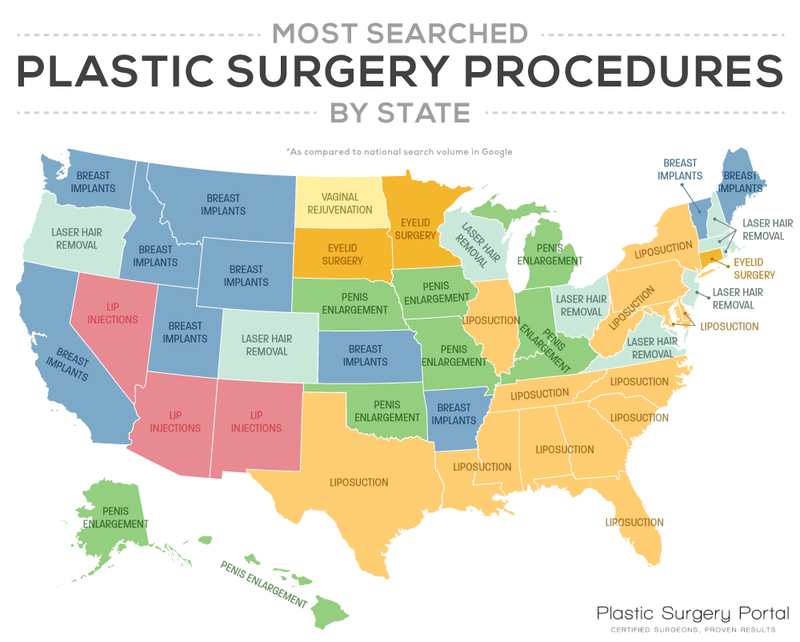 Breast augmentation continues to be the most popular procedure, but a study done by the Plastic Surgery Portal using Google search data tells a different story about what type of plastic surgery people are interested in pursing in each state across the country. Rhinoplasty, nose reshaping, is one of the most popular plastic surgery procedures. Only breast augmentation and liposuction are requested more often than rhinoplasty, and for good reason. The shape and holistic balance of your nose with the rest of your facial features can really affect each person’s perception of you and how much confidence you face the world with each day. On a recent episode of Keeping Up with the Kardashians, Khloe Kardashian tried some breast implant sizers on with her sports bra to see how larger breasts would look and feel on her petite frame if she committed to a larger breast size with breast augmentation.